Khomenko A.P., Eliseev S.V., Artyunin A.I. The paper deals with a general theory of lever dynamical vibration absorbers in mechanical systems intended to protect machinery and equipment from vibration and stresses. Desirable effects will be achieved by making proper couplings between the system links which results in reducing the number of freedom degrees of the system movement. Possibilities of using several systems of coordinates for describing the system dynamical properties depending on the element location and support are discussed. The paper considers the ways of eliminating some coordinates of relative movements provided they could be equal zero under specific conditions. Such approximations form link couplings and mechanisms in vibration system structure which can change the system dynamics. New means for controlling vibroprotection system dynamics could be developed. A number of examples are given based on mathematical modelling. Keywords: vibroprotection systems, dynamical absorbers, lever mechanisms. Lee Min. Damping of resonance oscillations of gyroscopic systems active dynamic absorber // Abstract dis. candidate. tehn. science – Moscow: MGTU, 2008. – 16 p.
Eliseev S.V., Trofimov A.N., Bolshakov R.S., Savchenko A.A. The concept of feedback in the dynamics of mechanical systems and the dynamic vibration damping // Science and education, № 5, 2012. URL: http://technomag.edu.ru/doc/378353.html. Guskov A.M., Panovko G.Y., Chan-Van-Binh. Dynamics auto parametric oscillation damper (Part 1) // Science and Education, № 2, 2008. 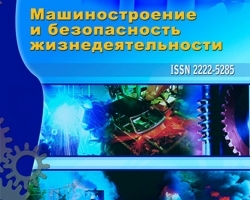 URL: http://technomag.edu.ru/doc/ 80815.html. Khomenko, A.P., Eliseev S.V. Dynamic balancing of rotating shafts as a form of dynamic damping of mechanical systems // Modern technology. System analysis. Modeling, № 3 (35), 2012. – P. 8-17. Eliseev S.V., Lukyanov A.V., Reznik Yu.N., Khomenko A.P. Dynamics of mechanical systems with additional ties – Irkutsk: Irkutsk State University of Railway Engineering, 2006. – P. 316. Eliseev S.V., Belokobylskiy S.V. Generalized approaches to the construction of mathematical models of mechanical systems with L-shaped dynamic damper // System. Methods. Technology, 2011, № 9. – P. 9-23. Druzhinsky I.A. Mechanical chain. –Moscow: Mashinostroyenie. 1977. – 224 p.
Babakov I.M. Theory of oscillations. –Moscow: Nauka, 1968. – 549 p.
Loitsyanskiy L.G., Lurie A.I.The course of theoretical mechanics. Vol.2. Dynamics. – Moscow: Nauka, 1980. – 640 p.
Eliseev S.V., Upir R.Y. Features of the dynamics of three-mass vibration isolation systems. The forms of self-organization of the movement // Bulletin IrGTU. Irkutsk, 2009, № 40. – P. 62-67.